Just as the Consumer Electronics Show 2015 (CES 2015) has concluded, tech geeks and enthusiasts are now geared towards and in high anticipation of what will the big reveals be at the Mobile World Congress 2015 (MWC 2015). This huge event of mobile devices and technologies will be held in Barcelona, Spain on March. Sony, one of the most trusted brands in smartphones, is expected to take the wraps off its latest flagship at MWC 2015, the Xperia Z4. Like other brands that have a cycle in releasing new smartphones, Sony also does this usually for its top-of-the-line products. However, even if MWC 2015 is fast approaching, Sony has not yet revealed or confirmed anything yet about its upcoming flagship phone. Still, several leaks about the Xperia Z4 have already emerged on the World Wide Web. 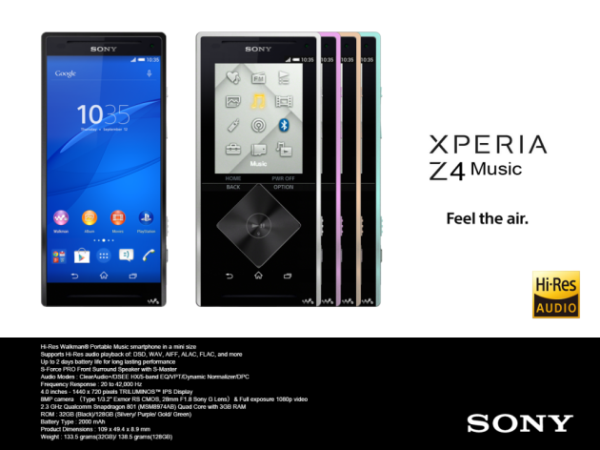 A rumor that’s making a big buzz about the upcoming Sony Xperia Z4 is that it might have one variant that is music-centric, which is dubbed as Xperia Z4 Music. Since decades ago, Sony is known for providing one of the best music device, the Walkman. 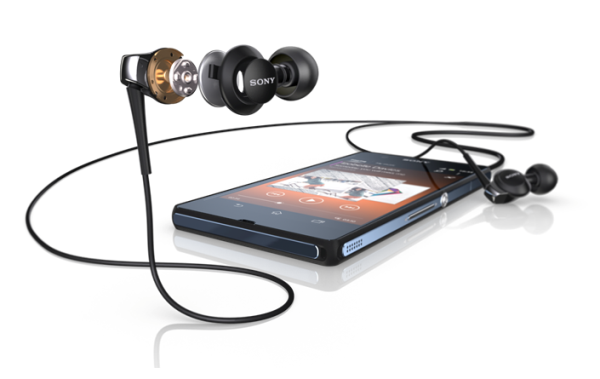 Thus, it is expected that the technology behind the modern-day Walkman will be integrated on the Xperia Z4 Music to provide a communication device tailored for audiophiles. According to reports, the Xperia Z4 Music will sport a 4-inch Triluminos IPS display with 1440 x 720 resolution. Under the hood, it will allegedly carry a 2.3GHz Snapdragon 801 processor with 3GB of RAM, 32GB or 128GB of internal memory ,2,000mAh battery unit, and an 8-megapixel rear camera with 1080p video recording capability. It is expected to run on Android 5.0 Lollipop. These specs may not appear phenomenal, but it seems that Sony is emphasizing more on its music prowess rather than having all other shiny features. The alleged smartphone is said to have support to high-resolution audio playback including DSD, WAV, AIFF, ALAC, FLAC, and other formats. Aside from the Xperia Z4 Music variant, the upcoming Sony smartphone is believed to have two other flavors that feature different screen resolutions. One is reportedly having a 2560 x 1440 (quad HD) resolution while the other is having 1920 x 1080 (full HD) resolution. Both models will have a 5.5-inch display. There have been reports going around that say Sony has already showcased these new handsets behind closed doors at CES 2015. However, Stephen Sneeden, Product Marketing Communications Executive of Sony Mobile who was present during the said tech event, was tight-lipped when asked about it. 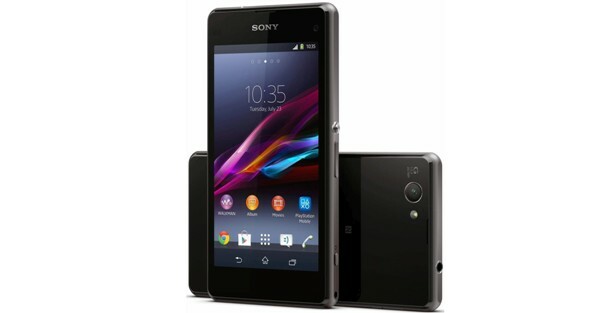 Sony has not revealed the specs yet but rumors say that these Xperia Z4 models will be powered by a Snapdragon 810 processor with 4GB of RAM. They will come with Android 5.0 Lollipop out of box. They will be built with a 21-megapixel Exmor IMX230 camera sensor and a 3.2-megapixel front-facing camera. Both smartphones are expected to be present at MWC 2015.